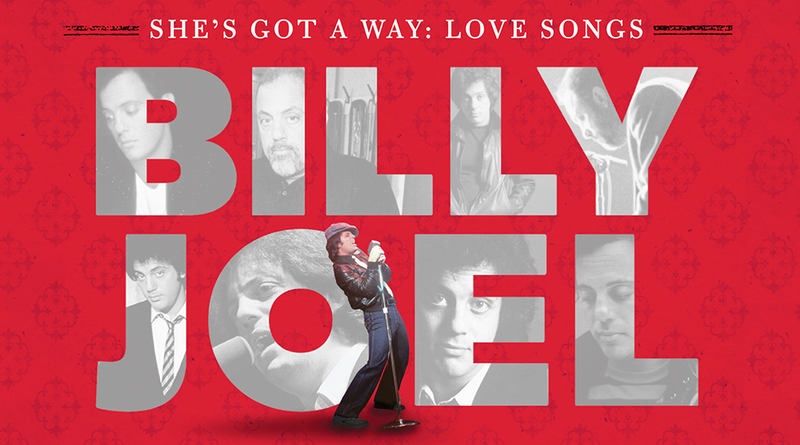 od news: On January 22, just in time for Valentine’s Day, Columbia Records and Legacy Recordings will release She’s Got A Way: Love Songs, by Steinway Artist Billy Joel. The album is a new collection of 18 love songs drawn from three decades of the legendary composer, lyricist and performer’s recordings. It marks the first Billy Joel release since late 2011’s double header: The Piano Man Legacy Edition and The Complete Albums Collection, and the first such compilation of his most ardent, passionate and tender music. For Joel, a love for the classical music he’s been rediscovering after his long career in rock and pop is strong. He jokes often, albeit a bit ruefully, about other loves won and lost, sometimes referring to his wives (a trio) as Ex-One, Ex-Two and Ex-Three. But clearly, judging by the crooning on She’s Got a Way, the man knows a thing or two about passion. The new album brings together some of Joel’s most evocative and moving love songs, with iconic hits playing alongside lesser-known selections, including “Just the Way You Are,” “Honesty,” “She’s Always a Woman,” “Travelin’ Prayer” (the b-side of the “Piano Man” single), the haunting instrumental “Nocturne” (from 1971’s Cold Spring Harbor) and Joel’s version of “Shameless” (a #1 country smash for Garth Brooks). Like the Steinway & Sons pianos he plays, Joel is a New York original. Born in the Bronx and raised in the suburbs of Hicksville, he started studying piano at age four, following in the footsteps of his father, a classically-trained pianist. But he realized as a young teen that his musical career would follow a different path. “I realized early on, I’m not going to be a concert pianist,” he told Alec Baldwin last year during a radio interview. “I don’t have the Rachmaninoff hands, the Horowitz hands. I have strong hands but short fingers,” he said. So Joel put the classical lessons behind him, and he soon found his footing playing popular piano music to receptive crowds. In fact, he dropped out of high school to help his mother pay the bills by playing piano in local bars, and the trajectory of his musical career has since led him through 33 top ten hits, six Grammy awards and sales of more than 150 million records. 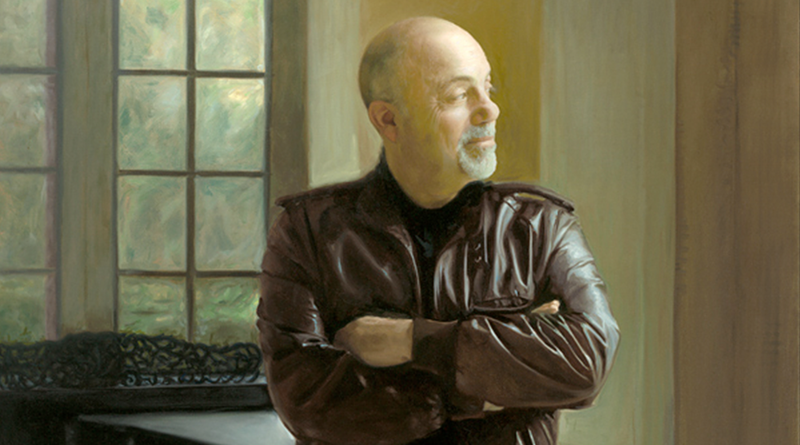 In 2012, the Piano Man was honored by Steinway & Sons with a painted portrait installed in Steinway Hall in Manhattan. Joel is the first non-classical pianist to be immortalized in the Steinway Hall collection. His portrait hangs alongside those of legendary musicians including Sergei Rachmaninoff, Franz Liszt, Arthur Rubinstein, Ignacy Paderewski and more. “There’s Horowitz over there. I don’t know how crazy he is to have me hanging next to him,” he joked at the installation ceremony, before turning serious: “I’m honored to be hung in Steinway Hall, among these great artists,” he said. Though he’s talky and sharp, quick with a joke (and perhaps to light up your smoke), Billy Joel speaks most fluently with his fingers. In interviews, if there’s a piano nearby, he jumps up frequently to move toward the keyboard to illustrate a point, tell a story. And when his fingers trip across the keyboard of a Steinway grand, as they did during the unforgettable interview he gave to James Lipton’s Inside the Actor’s Studio, he speaks loud and clear, tracing the evolution of his own career from the classical music that first inspired him. “I started out playing classical music before I ever wrote a pop song,” he says. “I played Mozart before I played Lennon and McCartney. I played Beethoven before I played Billy Joel. So there are elements of classical music in almost all my songs.” He jumps up and moves to the Steinway behind him to demonstrate. He whips into riffs of both “Uptown Girl” and “For the Longest Time,” adding intricate finger-work and a traditional pacing that indeed renders the pop hits distinctly classical in tone. He’s unequivocal about his preference for Steinway pianos to tell his musical stories. “Guitarists talk about their guitar like it’s a woman…they talk about the wood and the shape,” Joel has said. “It’s the same thing with these pianos.” He speaks as a man in love. And in January, we’ll celebrate that love with him. Watch for She’s Got a Way: Love Songs. And then keep watching—because if there’s one thing for sure, it’s that the Piano Man still has quite a bit to say. Having sold more than 150 million records over the course of a career spanning more than four decades, Billy Joel is one of the most popular recording artists and respected entertainers in the world. Since signing his first solo recording contract in 1972, he’s achieved 33 Top 40 hits, every one of them self-penned. The American pianist, singer-songwriter and composer is a six-time Grammy Award winner (with 23 Grammy nominations overall) and in 1990, was presented with the Grammy Legend Award. Inducted into the Songwriters Hall of Fame in 1992, Joel was presented with the Johnny Mercer Award, the organization’s highest honor, in 2001. In 1999 he was inducted into the Rock & Roll Hall of Fame, and has received the Recording Industry Association of America Diamond Award, presented for albums that have sold over 10 million copies. 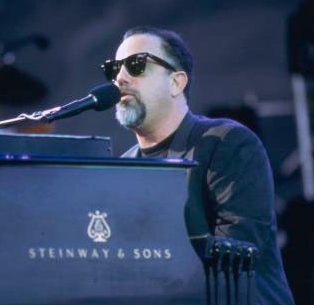 For his accomplishments as a musician and as a humanitarian, Billy Joel was honored as the 2002 MusiCares Person Of The Year by the MusiCares Foundation and the National Academy of Recording Arts & Sciences. On September 20, 2004, Billy Joel received a star on the Hollywood Walk of Fame in Los Angeles, adding another milestone to his extraordinary career. “Movin’ Out,” a Broadway musical based on Joel’s music choreographed and directed by Twyla Tharp, was nominated for 10 Tony Awards and took home two including Best Orchestrations—Billy’s first Tony Award win—and Best Choreography. www.billyjoel.com.